Do you like Cuisine Royale? Share it with your friends. Cuisine Royale is an all-kitchen-warfare Battle Royale game with the most honest system for Loot Boxes ever. 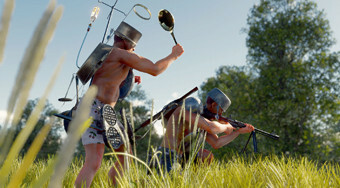 Originally an April Fool’s joke from developers of squad based MMO shooter Enlisted, Cuisine Royale was highly appreciated by players and is now released as a stand-alone title!